Since my last post, inspired by Nick in Denmark and a colleague of mine who is on a 155-day Duolingo streak and is acing her Spanish class as a result, I have tried to establish what Duolingo calls a streak – that is, I have tried to study my Anki flash cards every single day. This is a bit of a change for me. But I have to say that it works. At the moment I’m on a 73-day steak. I’m learning 15 new phrases each day, as well as revising the phrases that I have already learnt. It works out at about 150 cards per day, and I’m consistently getting 90% of the answers right. When I was trying to average 70 new words per week, and not studying on weekends, I was averaging about 80%. Last year, when I tried learning 100 new words at a time, I had a 60% success rate. It’s more fun when you’re getting most of the answers right, and by taking it one day at a time, I don’t get overwhelmed by the enormity of the task. Furthermore, in the last 10 weeks I’ve learnt more vocabulary than I did last year. 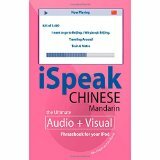 I’ve finished memorising my Chinese phrasebook (more about that in another post), and have moved on to the FSI Standard Chinese course – I’ve almost completed four units. When I started memorizing my Spanish phrasebook, I picked an arbitrary number of phrases to learn each day – 10. This seemed achievable to me, with the added benefit of being able to quickly calculate and track my progress. This seemed to work well for me for the first three months, then I took a month or so off, then learnt 50-100 words per day for two weeks, before spending a week and a half revising my deck without learning any new words. The problem with learning a lot of words or phrases quickly with Anki is that the number of cards to review also adds up very quickly, and before you know it you have to revise two or three hundred cards per day, with occasional spikes of five hundred cards in one day. I call this problem The Wrath of Anki, and I’ve posted about it before here and here. In his book Fast, Easy Way to Learn a Language Bill Handley states that in his opinion it is more effective to learn lots of words quickly and poorly rather a small amount of words slowly but surely. The federal tourism minister will propose translating Australian road signs into Mandarin at a meeting of state and territory tourism heads next year. I can’t speak Chinese, but I want to. I’m going to learn Chinese the same way I learnt Spanish, by memorising a phrasebook. My phrasebook has approximately 1500 phrases, so if I learn 10 phrases a day it should take me 150 days, or five months. I will blog about my progress once a week.